Released just in time to make the perfect gift for an illustrator this Christmas: the excellent new book from AOI gurus Derek Brazell and Jo Davies. 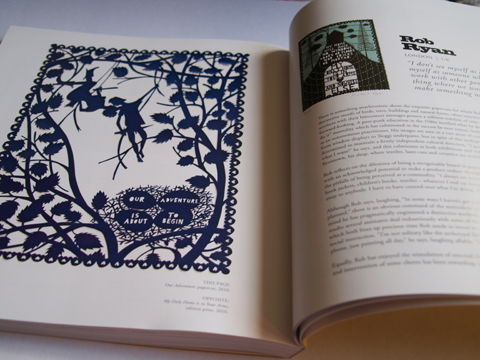 Making Great Illustration is a big squarish yellow affair with a careful choice of scratchy type on the cover, thereby avoiding the need to pick any one illustration as a defining image of the volume. Inside the pair have picked out some best examples of illustrators working on a variety of different types of projects, including fiction, decorative, children’s, editorial, typographical, fashion (hurrah) and political (very timely). What’s really nice is the concentration on personal studio practice, with the authors visiting the featured artists in their studios. Whilst it’s improbable that you will like all the work in this book (I don’t) this ensures that for any burgeoning illustrator or intrigued long time practitioner there is still plenty to learn. 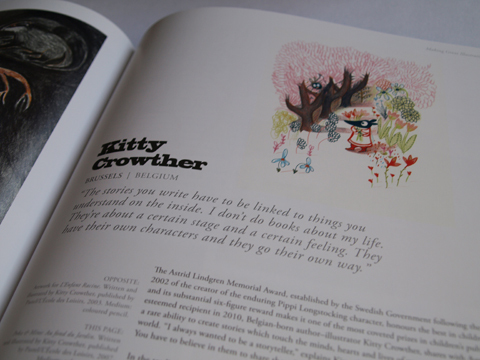 Of particular note are the chapters on fashion illustrators Tanya Ling and David Downton – perfect for fans of ACOFI. 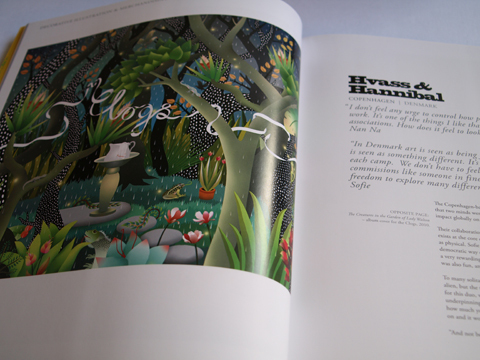 Of course no contemporary illustration book would be complete without a section devoted to wonderboy Rob Ryan, who is single handedly responsible for the world’s reignited love of paper-cutting, and it’s also nice to see the work of Hvass&Hannibal, who’ve long seduced me with their colourful abstract artworks. Catalina Estrada is the famed Spanish illustrator who has successfully made a cross over into fashion textile design and you are bound to discover some exciting new artists: for me this included the bold perspectives of late starter Yuko Shimizu and the evocative children’s illustration of Kitty Crowther. Amongst some of the newer upstarts you will also find the legendary Ralph Steadman and the doyen of children’s publishing, Quentin Blake. Ah, memories of childhood. 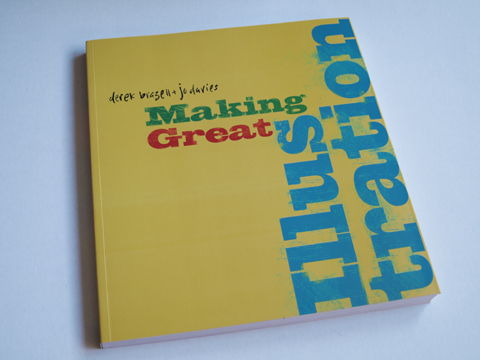 Making Great Illustration is a must buy book for anyone who wants to learn more about illustration, created with great attention to detail by insiders who are immersed in this wonderful world. 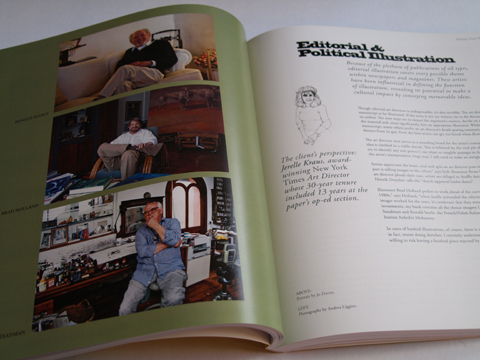 Read more on the dedicated Making Great Illustration website. 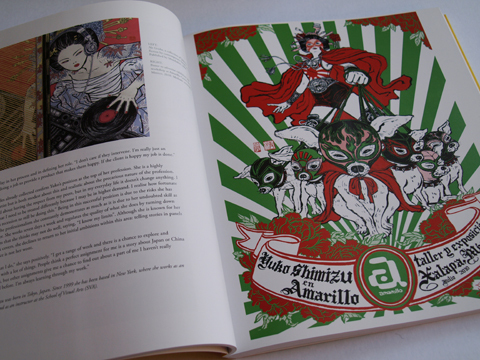 The book is published by A & C Black, part of Bloomsbury Publishing. 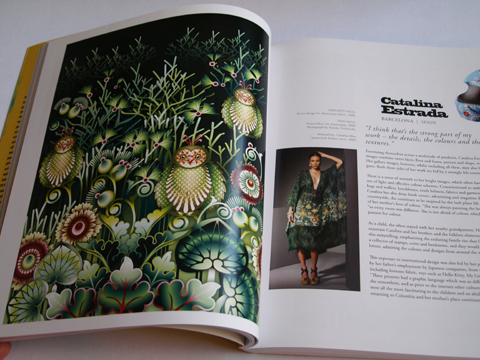 If you like the sound of this don’t forget to check in with my two illustration books Amelia’s Anthology of Illustration and Amelia’s Compendium of Fashion Illustration, both of which feature the personal work practice of a whole host of up and coming illustrators. Great book. How much will it cost? Thank you..
Erm, check with a book seller? !